Denna vecka bloggar forskare från ARKDIS på Humanistportalens stafettblogg. Humanistportalens syfte är att synliggöra och tillgängliggöra aktuell forskning inom svensk humaniora. Humanistportalen stöds av Riksbankens Jubileumsfond och har tre huvudsakliga verksamhetsområden: stafettbloggen, publicering av artiklar, och pedagogiskt material med humaniorafokus för undervisning i gymnasieskolor. at the Allard Pearson Museum. For about a month ago, ARKDIS project was visiting colleagues in the Netherlands during a five day study trip to Amsterdam, Leiden and the Hague. 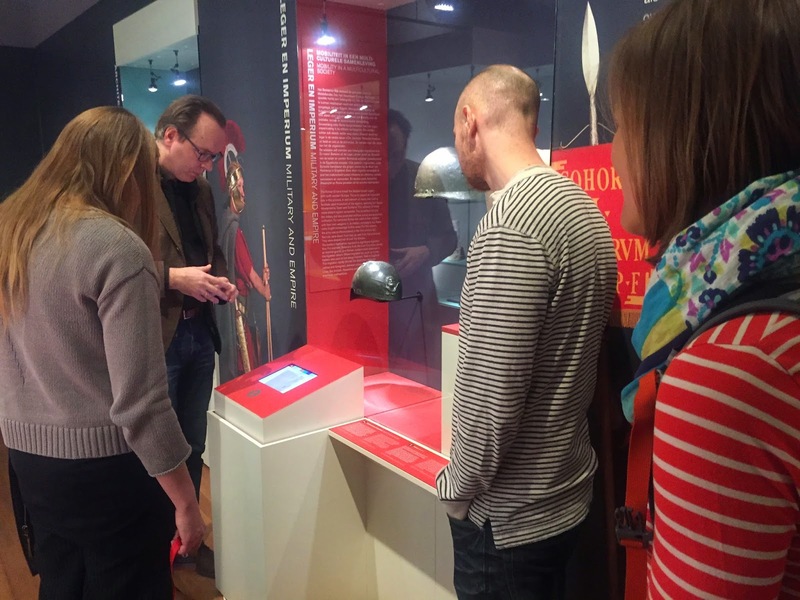 The trip gave us a good idea of some of the current state-of-the-art in Dutch archaeology, archaeological presentation and information management. At Allard Pearson Museum of the University of Amsterdam we were hosted by Dr. Wim Hupperetz who took us around at the museum and introduced us to their work on ArchaeoHotspots, a room where archaeologists and volunteers actually do archaeological research and work with finds in the museum, and where the public can come, watch and discuss. At DANS, the Data archive and networking services, the Dutch data archive that preserves digital archaeological research data in the Hague, Hella Hollander and her colleagues presented their work and current state of the affairs in the archaeological information management in the Netherlands. In comparison to many other countries, including Sweden, the clear mandate of an organisation with a similarly clear focus on archaeological research for both preserving and making available digital archaeological data is an apparent advantage in the Netherlands. At Europeana in the Hague, Joris Pekel hosted us and gave us a good overview of their work and highlighted the new strategy to focus on quality and partnership-based content production instead of attempting to incorporate as large quantities of content as possible. We visited also the Faculty of Archaeology (yes, a faculty not a department) in Leiden and discussed with Dr. Hans Kamermans on education and research and the Vrije universiteit Amsterdam where Dr. Philip Verhagen and his colleagues presented their research and we had an opportunity to give a glimpse of the on-going work in ARKDIS. As a final stop, we visited the e-humanities unit of the Royal Dutch Academy of Sciences where Prof. Sally Wyatt hosted us and told about the e-humanities work in the country. We had also an opportunity to participate their weekly seminar, this time with a guest preseentation of Joseph Tennis from the University of Washington iSchool. Submissions are invited for presentations at the Nordic TAG (NTAG) 2015 session on the The Digital Future of Archaeology. Paper abstracts should be of maximum 200 words with additionally author contact details. Please send your paper to bodil.petersson@lnu.se. Send your abstract (or inform the organisers on an incoming proposal) by January 30, 2015. NTAG conference is organised this year in Copenhagen on April 16-18, 2015. In recent years, the sway of digital technologies and the influence ‘the digital’ has had upon almost every aspect of archaeology has become a fact. This is true for documentation as well as for analysis, research and presentation. As in the rest of society, digitization has become the fact of the matter very often celebrated as both part of and important for any "future" perspectives. But what is "future" from the perspective of digitization? Is it access, overview, analysis, new perspectives, new modes of presenting archaeology, or what? When thinking of interpreting archaeology, what impact does digitization have on the understanding of archaeology as a knowledge domain? How is digitization in itself affecting the knowledge base of archaeology? More - of what? More - of the same? More - of new stuff? The aim of this session is to critically elucidate how digitization affects archaeology as a knowledge domain within which the subject is filtered through digital systems often not built by, but rather adapted or appropriated by archaeologists for their purposes. We welcome papers on the present-day practice, future perspectives and historic views on the subject of archaeology and its adaptation to new digital contexts. The session is organised by ARKDIS researchers Bodil Petersson (Linnaeus University) & Isto Huvila (Åbo Akademi University and Uppsala University). The full call for proposals and more information about the Nordic TAG (NTAG) conference on the NTAG conference web site. Our new edited volume "Perspectives to Archaeological Information in the Digital Society" that explores the challenges of archaeological information work and research in the contemporary digital society is out both in print and as an open access edition online. The blurb in the back cover explains that "[t]he aim of this small book is to briefly discuss some of the premises for studying the implications and opportunities of the digitalisation of information and information work in the domain of archaeology and material cultural heritage." The book is available as an open access PDF in DiVA-portal in http://urn.kb.se/resolve?urn=urn:nbn:se:uu:diva-240334. Printed copies can be ordered by sending email to publikationer@abm.uu.se. 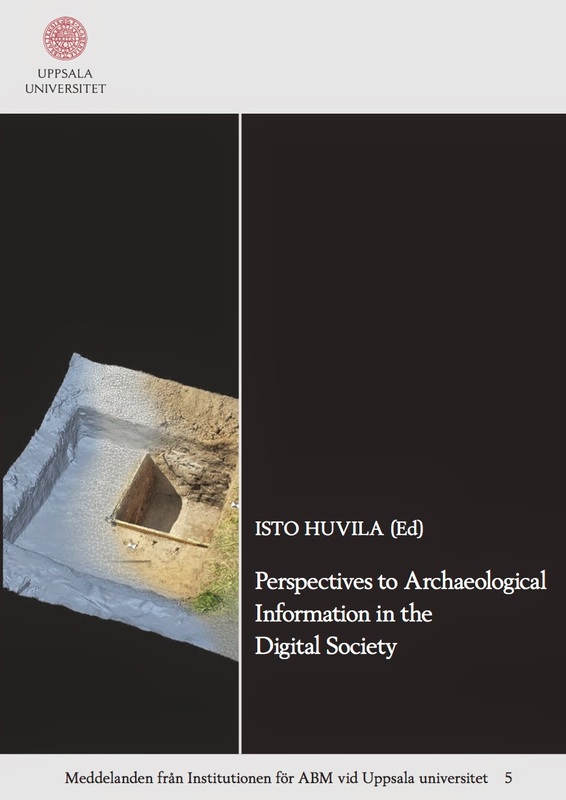 Write "Perspectives to Archaeological Information in the Digital Society" in subject line. Printed copies cost 100 SEK (incl. 6% VAT) plus postage.